Hope you are all having a fantastic week. I definitely woke up originally thinking it was Saturday. Then I was kinda like “Oh that’s silly Amanda, it’s clearly Thursday”. Then I realized it was Wednesday. It wasn’t my favorite way to start the work day. Especially after having a bit of a rough Tuesday. It’s generally agreed upon that Spring Break is awesome. Beach time, drinking, partying, making horrible decisions, all that good stuff. For grad students, Spring Break is awesome for different reasons. Awesome parking, no classes, catching up on research, all that good stuff. It also means that everyone under the sun has decided that this is the optimal week for MEETINGS! 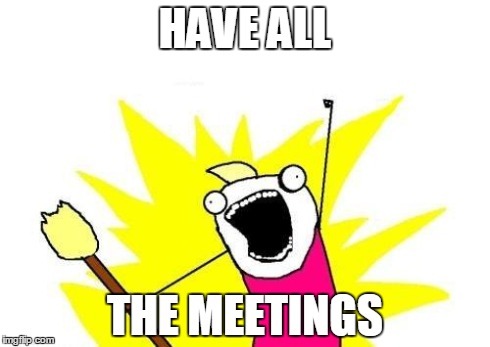 AAAAND MORE MEETINGS! 30 min meetings! 1 hr meetings! 4 hr meetings! By the end of the day yesterday I was not a happy person. This was exacerbated by my body re-adjusting to my normal dose of antidepressants. This resulted in my mood looking somewhat like this..
My goggles broke about 500 yds in. Now for some people this isn’t an issue. However, I am blind as a bat and wear contacts and pool water + contacts = contacts decide to relocate to the rear of your eyeball. Not to mention that the last time I tried to swim without goggles and just closed my eyes, I ended up swimming into a ladder and getting 5 stitches in my eyelid. Sigh. Basically my swim was ruined before it really even began. I would like to emphasize that this was NOT enough exercise to generate happy endorphins. And this was NOT the happy swim I had planned. My mood continued. This totally counts as a workout btw. Let’s hope today goes a bit better! 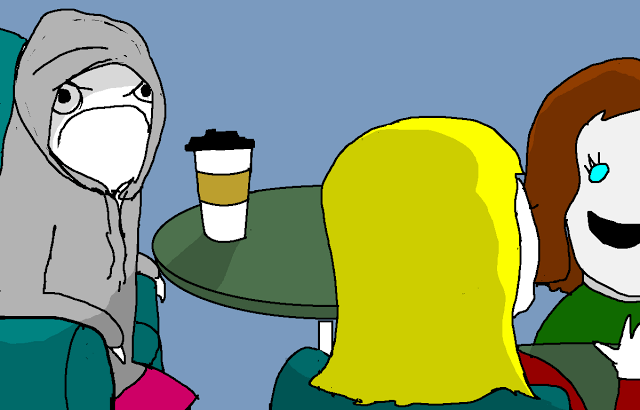 -BTW those awesome cartoons are by Allie Brosh of Hyperbole and a Half. She’s awesome and doesn’t post anymore but check her out anyways because she’s hysterical.